My fellow Takeout staffers asked me what I thought about this story, as a mother. Sure, I have been knocking myself out trying to get my kids to eat healthfully and refuse to acknowledge chocolate (my daughter’s favorite) as a major food group. They’re in middle school now, but once they go to high school, would I be able to stop them from having Flaming Hot Cheetos with every weekday lunch if that’s what they wanted? Probably not. I would have to rely on the various nutrition lessons I’ve given them over the years that would hopefully make them want to eat an apple even when I’m not around. As luck would have it, my daughter is sitting across from me right now, after protesting a beach field trip at her “prison camp” (day camp) that would involve going into the water with her camp shirt on. She said she did it last year and “it was weird.” (She is also kickball- and dodgeball-adverse.) So I decided to go right to the source: As an 11-year-old, does she ever think about the nutritional values of her diet? I have been grappling with my daughter’s picky-eater tendencies for awhile, so I asked her how that was going. She was enthusiastic, “probably because I’ve been trying more things. But I don’t eat things that I know I don’t like.” Like what? “The list is infinite.” No kidding. “But you don’t like mushrooms! You always pick them out,” I pointed out. “I know,” she nodded. “I don’t like the texture.” Le sigh. So part of me feels for you, Cheetos mom. 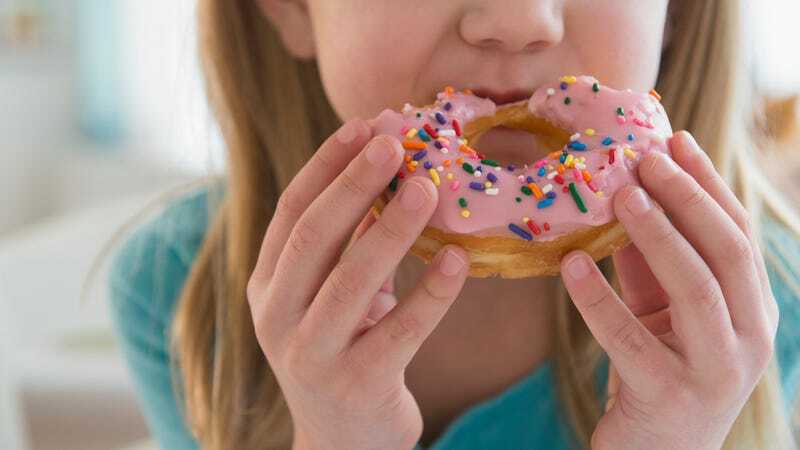 We have control over what our kids eat, but only up to a point, and there will come a time when they have to make those nutritional decisions themselves. I have tried to teach my kids the values of healthy eating, and actually, this conversation offered some valuable insight into my daughter’s relationship with her diet. Hopefully, we can keep this conversation going. I asked my daughter if she thought she might get a piece of fruit instead of packaged chips with her lunch when she’s in her high school cafeteria. “Probably. I hope I would.” Me too, kid. She joked, “Note to future self: Buy healthy things.” I really hope she remembers.